The government has doubled import duty on over 50 textile products – like jackets, suits and carpets to 20%, a move that is aimed at promoting domestic manufacturing. The Central Board of indirect Taxes and Custom (CBIC) notified list of textile products on which duties have been hiked to 20%. It has also raised the ad-valorem rate of duty for certain items. The imported products, which have become expensive, include woven fabrics, dresses, trousers, suits and baby garments. Experts said as per WTO norms, India will not be able to give any further incentive to the textile sector and the government has increased the import duties with a view to encourage domestic manufacturing. The customs duty increases on certain finished textile products would lead to a cost advantage for textile manufacturing and advance the Make in India philosophy. The announcement brought cheer to garment exporters in the Tirupur knitwear cluster. Hailing the announcement, Raja M Shanmugham, President, Tirupur Exporters’ Association, said the hike in the basic Customs duty on import of 23 knitted garment items and one knitted fabric would help protect the domestic textile industry. The association has been appealing for swift action in this regard as textile product imports from China, Bangladesh, Vietnam and Cambodia had increased significantly. He specifically noted that under the South Asian Free Trade Area (SAFTA) agreement, specified garment items imported from Bangladesh were also exempted. MS Mani, Partner with Deloitte India, said the Customs duty increase on certain finished textile products would lead to a cost advantage for Indian textile manufacturing. Many foreign companies may now consider manufacturing in India to cater to the domestic demand as well, he added Imports of textile yarn, fabric, made-up articles grew by 8.58 per cent to $168.64 million in June. However, exports of cotton yarn/ fabrics/made-ups, handloom products and so on grew by 24 per cent to $986.2 million. Man-made yarn/fabrics/made-ups exports grew 8.45 per cent to $403.4 million. Exports of all textile ready-made garments dipped by 12.3 per cent to $13.5 billion. In 2017-18, India imported approx $7 billion worth textile and apparel products. The imports have grown from $6 billion in 2016-17 at a rate of 16 per cent. Government has increased import duty for commodities which accounted for approx. 26 per cent ($1.8 billion) of total imports by India, said CITI chairman Sanjay K Jain. He further stated that imports of readymade garments increased from $596 million in 2016-17 to $773 million in 2017-18. 48 apparel commodities for which the import duty has increased accounts for approx. 82 per cent ($630 million) of the total apparel imports. 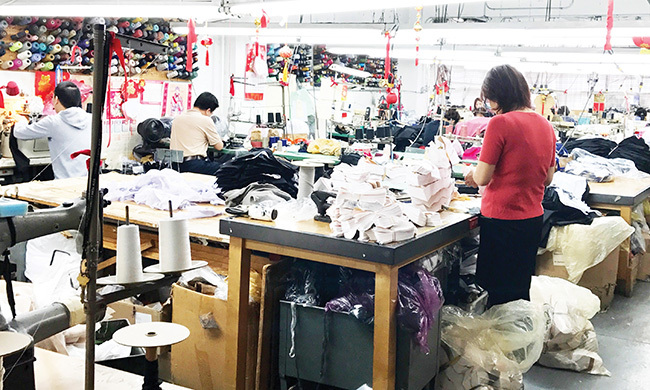 This will definitely prevent apparel imports from China, which is the largest supplier of apparel to India.” However, he underlined that the problem of industry is not yet over. There is a big issue of imports from Bangladesh where there is full exemption of Basic Customs Duty and hence it is a gateway for Chinese fabric entering India duty free. This is because no Rules of Origin (RoO) are in place for duty free imports from Bangladesh. In 2017-18, the imports of apparel from Bangladesh stood at $201 million compared to $140 million in 2016-17, growing at a rate of 44 per cent.